Tony joined Mighty Kingdom in the role of COO in 2018 where he’s currently scaling up the business as Mighty Kingdom continues to develop titles for mobile, console and PC. 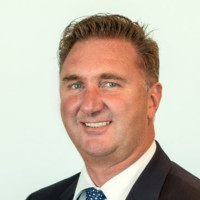 Before joining Mighty Kingdom, Tony was a senior business development manager with South Australia’s investment agency, where he secured investments in South Australia from firms such Technicolor and Sony Interactive Entertainment, as well as developing the states Post Production, Digital and Visual Effects policy and incentives and digital production strategies. Previously, Tony was the General Manager of 2K Australia, and worked with his team on titles including Borderlands the Pre Sequel, BioShock Infinite, and BioShock 2. During his time at 2K Australia, Tony also held the role of President of the Game Developers Association of Australia, and helped secure the Australian Interactive Games Fund for Australian game developers. Tony has a history working in Creative Industries, with roles including Technical Director, and Director of Commercial Performance for the Sydney Opera House, as well as senior roles in several other industries. Tony holds and MBA (Executive) from Australian Graduate School of Management (AGSM), and a BA, TV and Sound Production from Charles Sturt University.